In an unusual development, a stapler has been accidentally elected President of Lebanon today. The stapler was placed on the desk of the Speaker of the Parliament Nabih Berry during today's voting session, and it attracted the attention of several MPs due to its unusual design. 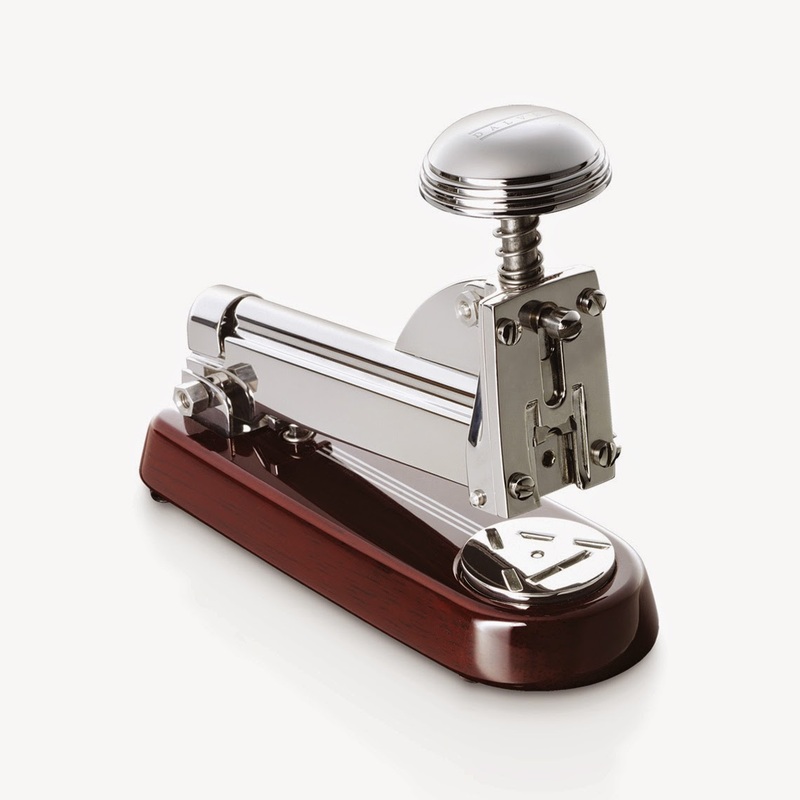 Some of the MPs decided to jokingly vote for the stapler instead of casting blank ballots which was their original plan, but when the votes were counted it was discovered that the stapler had received enough votes to win the election. After hurriedly consulting the rule books, the Speaker could not find any reasons to disqualify the stapler so he had to announce it as the new President of Lebanon. The unexpected development left some of the candidates fuming, but there was little they could do to stop the confirmation of the vote as there was no clear constitutional basis for their objections. Some of the leading candidates tried to argue that the stapler isn't Maronite (one of the 19 officially approved denominations in Lebanon), which is a prerequisite for the job. However, the Speaker argued that the stapler appears to be 'maroon or maroonite' in colour which is close enough. Furthermore it appeared that the rules didn't not stipulate that candidates must be human, and the Speaker had no option but to follow the spirit of the law and confirm the result. The voting session was held at the Lebanese parliament in Beirut. According to Lebanese laws the president is not elected by the voters but by the country's 128 parliamentarians. There is no list of candidates and MPs can vote for anyone, a practice that has been used to humorous effect in the past but not quite so spectacularly before today. The session was followed by intense rows between the MPs and some of them denounced the result as a conspiracy by the United States and Israel. Other disagreed and said the conspiracy is clearly the work of Iran and Syria. However despite the protests by the losing candidates and their parliamentary blocs, it seems that the stapler will now be confirmed as President of Lebanon at the end of May. There were initial waves of shock among the Lebanese public when the result was announced, but the stapler seemed to gain support quickly. The stapler's lack of involvement in the country's long civil war worked in its favour, and as someone put it 'at least it's not a war criminal'. Another person we spoke to said that the stapler represented 'a symbol of unity because it joins papers together', which is more than could be said of all the other candidates.